Recognizing that human experience is very much influenced by inhabiting bodies, the past decade has seen a surge in studies about representation of bodies in religious experience and human imaginations regarding the Divine. 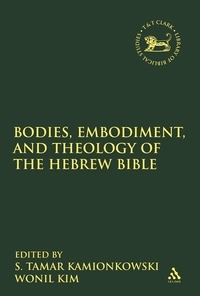 The understanding of embodiment as central to human experience has made a big impact within religious studies particularly in contemporary Christian theology, feminist, cultural and ideological criticism and anthropological approaches to the Hebrew Bible. Within the sub-field of theology of the Hebrew Bible, the conversation is still dominated by assumptions that the God of the Hebrew Bible does not have a body and that embodiment of the divine is a new concept introduced outside of the Hebrew Bible. To a great extent, the insights regarding how body discourse can communicate information have not yet been incorporated into theological studies.